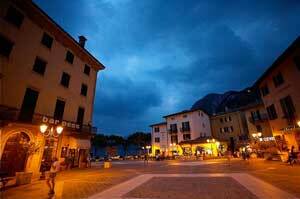 A summer evening in the piazza in Menaggio. Perfect for strolling and gelato. The villages scattered along the shores of Lake Como can be reached either by car or by public transport, but the best way to get around is with Lake Como's frequent and reliable boat service. It stops at many villages along the lake and lets you see them all including the multitude of large and glamorous villas. Note that you can also take your car across the lake on a ferry between the towns of Cadenabbia, Bellagio, Menaggio, and Varenna. 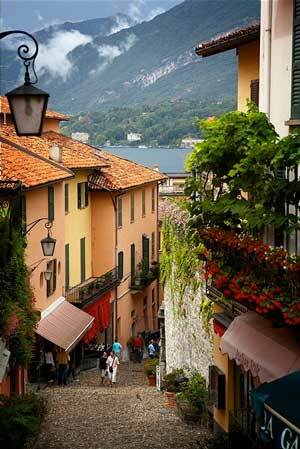 By far the most popular villages to visit in Lake Como are Bellagio, Varenna, and Mennaggio. These three villages are located on separate shores in the mid-lake area and are all serviced by the Lake's ferry. Varenna, on the east shore, is know for its Ligurian styled architecture and colors. It is peaceful, offers enjoyable strolling, and has a number of excellent restaurants. Bellagio, at the tip of the Lake Como's peninsula is the most famous of the three and has the most tourists, but for good reason Ð it is pretty, ideally located, and has good shopping, hotels, and restaurants. Mennagio, on the west shore, is worth visiting for its outdoor cafes, waterfront, and beautiful public pool. 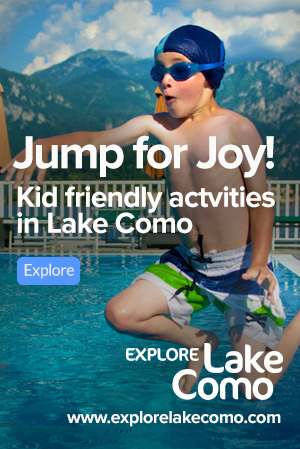 Unlike most of the villages on Lake, Como can be considered a medium sized city. 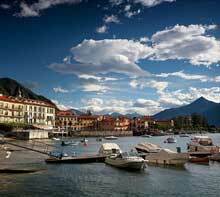 It is worth visiting mostly for its shopping and cathedral or for a ride up the funicular to the town of Brunate. A couple of kilometres north of Griante, Menaggio is a large town with a range of hotels, some shopping, good restaurants, a youth hostel, and a boat rental company. Just across the lake from Griante, this colourful small picturesque 15th century settlement has buildings and small steep streets reminiscent of a Ligurian coast village.